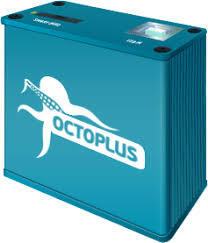 Octoplus/Octopus is best flashing tool for Samsung having support all type of Samsung phones flashing,unlocking, repair IMEI,repair and read NVM flash area and unlock all type of locks like user codes and FRP for all platform of Samsung like SWIFT, Agere, Sysol, Softbank, UMTS, Omap and Android and also have full support of all type of CPU's like Qualcomm,SPD,HiSilicon,, Infineon and others. The latest version of Octopus box have the support of unlocking of FRP of latest Android Smartphones on USB and ADB mode you and Read NVM, Write NVM Files, Repair NVM, Write Firmware, Factory Reset, FRP Unlock, Country Code Unlock, DUMP RAM, DUMP NAND, Reset your phone. Octopus box has two way of interface RJ-45 and USB with RJ-45 port you can flash your old Samsung phones or there USB port not working or boot death case you can use that port and USB port easy to flash or unlock your Samsung phone at adb or USB mode or fix errors on your phone making hard reset with octopus box after hard resetting if your phone did not work then flash your phone with the latest firmware then your phone will work well.